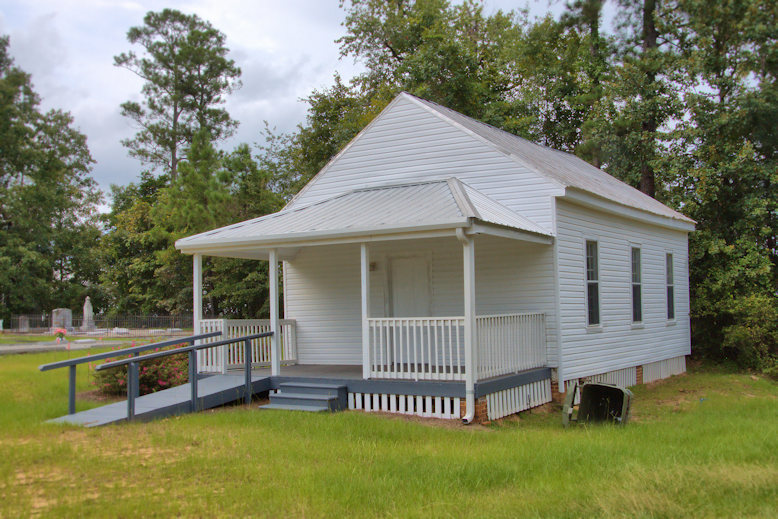 Located next to Union United Methodist Church, this historic one-room schoolhouse is now used as a social hall for the congregation. 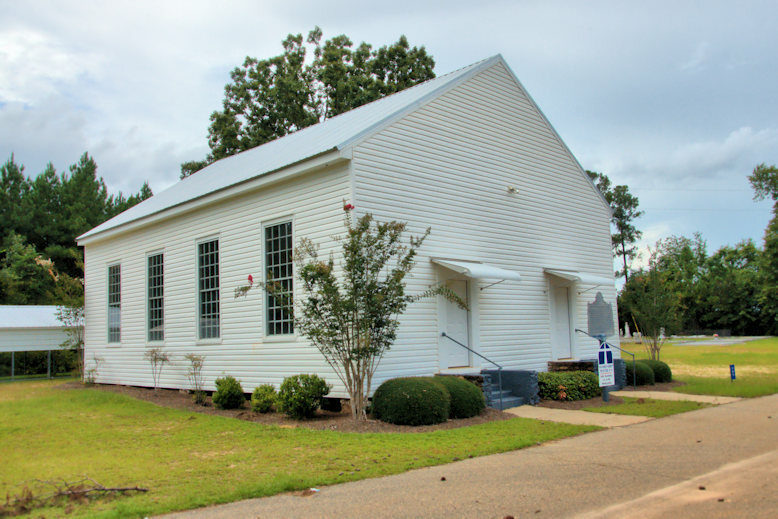 Union Church was organized as non-denominational house of worship in 1837, about a mile from the present location. A second structure was built across the road from the present location and used until 1867 when this church was built. The exact date the church became affiliated with the Methodists is unknown. 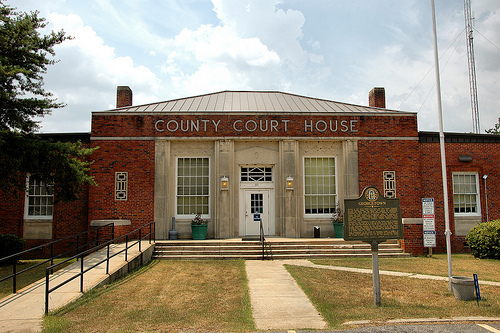 The present courthouse replaced a two-story wooden structure which burned in 1920. 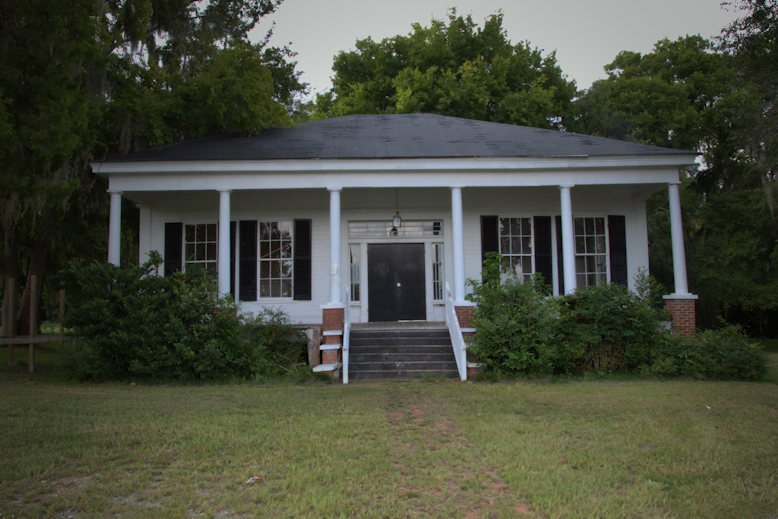 Due to economic hard times, the county rented warehouse space for use as a temporary courthouse until this was built with federal relief funds during the Great Depression. 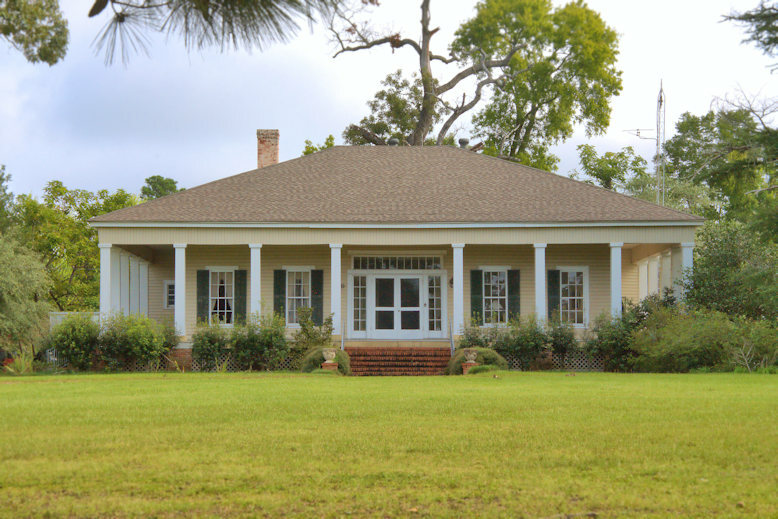 This structure replaced the community’s first jail, a wooden structure built in 1859. The first sherrif of Quitman County, created in December 1858 from Randolph and Stewart Counties, was Sam Guerry. 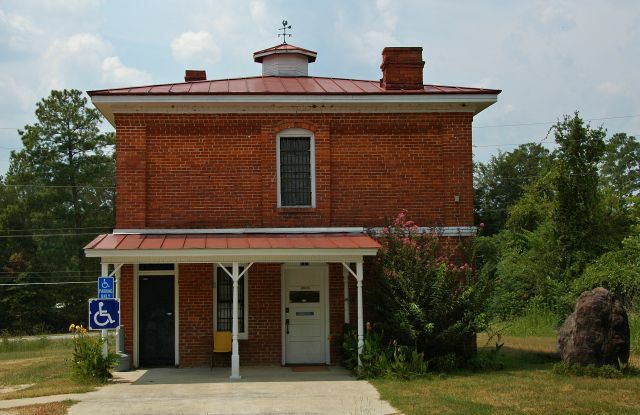 Commissioners who oversaw the building of this jail were J. E. Harris, Dr. F. M. Bledsoe, J. P. Kimble, and W. A. Cumbie. 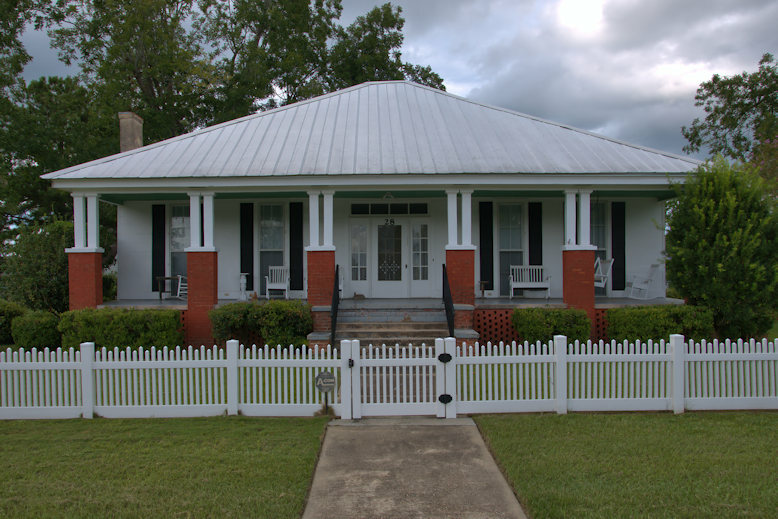 James H. Guerry was Judge of the Superior Court; M. L. Albritton was Ordinary; and G. A. Whitaker was Clerk of Court.